This short reflection on Eataly by Sergio Gutierrez, Ankur Johar, Christian Lillo, Anjali Singh and and Sofia Sourtzis positions it as a “third place”. 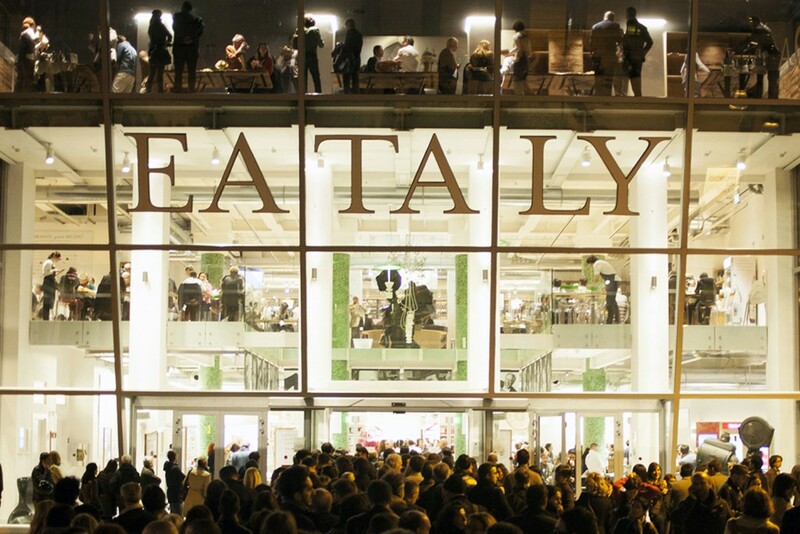 Although the third place is increasingly becoming obsolete, the authors argue that Eataly has successfully created a unique interpretation, and as a result a new market to operate within. A modern Italian bazaar, Eataly uses both its physical layout and its participatory characteristics – at 9 different food service stations within the market – as the links that draw people together. The store is arranged in such a way that allows fluid transition from café to crêperie, supermarket to restaurant, cheese boutique to wine bar, and so on. Each section adds to Eataly’s story and contributes to an overall experience for patrons. People share a common, limitless, and nuanced adventure, all routed in Italian food. While the concept itself is unique, Eataly’s modern interpretation of the third place delivers on much of the traditional third place criteria.